Ename 1290 is a real time 3D application that shows Ename and the Ename abbey in 1290 and can be used as a virtual tour by the guides and as an educational game by school children. 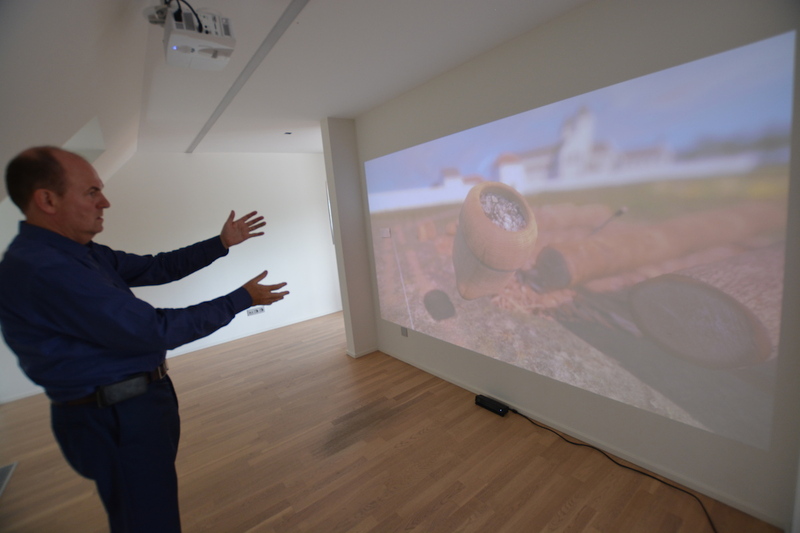 The navigation through the virtual world and the manipulation of the virtual objects takes place through hand gestures, detected by a Kinect camera. Have a look at this video to see Ename 1290 in action! The press conference took place on August 21, and the application will be operational from September onwards on the first floor of the Ename Heritage Centre.